Nearly 400 workers across two states are left without work. After weeks of uncertainty regarding the future of Curt Schilling's 38 Studios, which saw everything from missing paychecks to fleeing executives, every single employee has been officially been laid off. 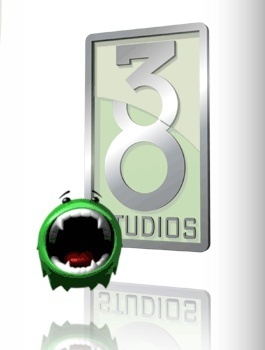 38 Studios, which employed nearly four hundred workers between its Maryland and Rhode Island offices, have informed employees of their termination through a succinct, impersonal email. "The Company is experiencing an economic downturn," it read. "To avoid further losses and possibility of retrenchment, the Company has decided that a companywide lay off is absolutely necessary. These layoffs are non-voluntary and non-disciplinary. This is your official notice of lay off, effective today, Thursday, May 24th, 2012." During a press conference concerning the layoffs, Rhode Island governor Lincoln Chafee blamed the studios' failure on Kingdoms of Amalur: Reckoning failing to sell three million copies, a sales record that Schilling has previously argued was a great success. "Sales of Reckoning OUTPERFORMED EA's expectations," he wrote on Facebook, "and sold more than 1.2 million units in the game's first 90 days in the market." Regardless of reason, as of Thursday afternoon, 379 fulltime employees are left without jobs, adding to the indeterminate number of temporary and contract workers terminated last week. The wake of the sudden firings have left the now ex-employees with questions ranging from legally-owed healthcare benefits to compensation for three weeks of heretofore unpaid work. Numerous unaffiliated gaming companies such as PopCap, Cryptic, Gearbox,and EA have already begun to offer their support, immediately considering applicants from affected ex-38 Studios employees. Twitter has joined the cause as well, with numerous members of the industry asking anyone currently hiring to post openings with the hash tag #38jobs. Facebook users can help, too, via the official support page found here.